Cuba’s President surprised everybody by grabbing the microphone after the Day of the National Rebellion ceremony, stating that Cuba is ready to talk and mend fences with their Cold War rival the US, as long as the conversation is between equals. 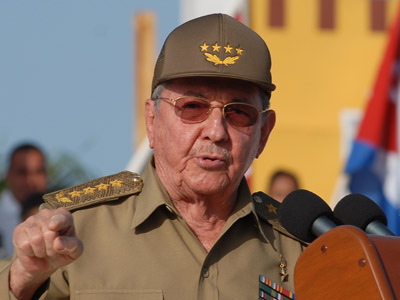 Raul Castro made impromptu remarks on Thursday about Cuban openness to talk to the US about any topic including American concerns about democracy, freedom of the press and human rights on the island. "Any day they want, the table is set. 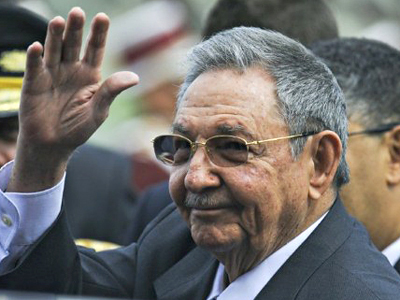 This has already been said through diplomatic channels," Castro said. "If they want to talk, we will talk." However, he also mentioned that Washington must be open-minded enough to hear Cuba’s own complaints about how US treats similar issues. In response, later on Thursday, the assistant secretary for public affairs at the US State Department, Mike Hammer, said that before a true conversation can be opened up Cuba must implement democratic reforms, improve human rights and release Alan Gross, a Maryland native serving 15 years in prison for bringing satellite and other communications equipment into Cuba illegally. "Our message is very clear to the Castro government: they need to begin to allow for the political freedom of expression that the Cuban people demand, and we are prepared to discuss with them how this can be furthered," Hammer said. 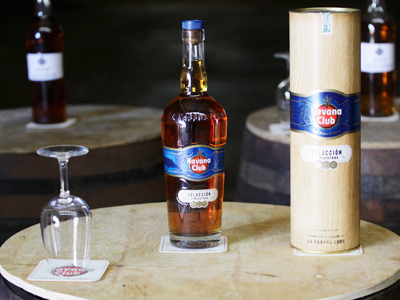 Washington and Havana have not had diplomatic relations for five decades, and the 50-year-old US embargo outlaws nearly all trade and travel to the island. There has been little progress in terms of relations between the two countries. Since Raul Castro officially took over as president from his brother Fidel in 2008 there have been a few of unique highlights. Two months ago Castro’s daughter was granted a US visa to attend an academic conference about sexual diversity in San Francisco, which led to outbursts from some American politicians and anti-Castro blogs. Also, the American Ballet Theater visited Cuba for first time in 50 years in 2010 and, in 2008, Barack Obama lifted restrictions on family travel and remittances to Cuba in 2009. One of the sorest points of contention between Cuba and US is the American presence in Guantanamo Bay. Cuba demands the base be shut down, as it believes US is torturing terror suspects held in the military prison there. The land is leased to the US, and only mutual agreement or US abandonment of the area can terminate it. 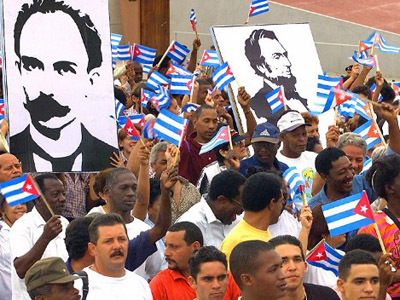 Cuba receives annual payments from the US for its lease, but since the revolution, Cuba has only accepted the first payment, and continued to reject all successive payments.